Confirmation of the first sales at Beaufort Ridge followed a VIP launch and open day to unveil the 11 four and five bedroom detached houses which are priced from £395,000 to £698,950. The family homes on The Mount, once the home of Charles Darwin, have been designed and built by Morris & Co Homes for modern living with quality finishes and craftsmanship. Philippa Bason, sales and marketing co-ordinator for Morris & Co Homes, said: “They are desirable homes so it is not surprising that two have sold already. People are impressed with the quality, the attention to detail and the select location, which is within walking distance of the town centre. The houses at Beaufort Ridge are generously proportioned, combining traditional exteriors and quality materials with contemporary interiors. They feature open-plan fully fitted kitchen family rooms with French doors leading to the garden, under floor heating throughout the ground floor, a log burner in the living room and electric garage doors. For more information visit www.morrisandcohomes.co.uk, email philippa@morrisandcohomes.co.uk or call 0345 515 0066. 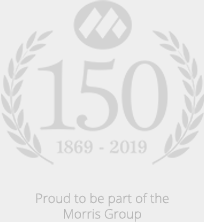 For more information please call Charlotte McIntosh on 01743 234224 or email charlottemcintosh@morrisandco.com.